As you can tell, I love making my own soups and testing out new recipes. But there are times when it's nice to not to plan, chop or cook where I can sit back and simply enjoy other people's soup recipes. I recently had the opportunity to take a brief break from my soup-making adventures to test out Tabatchnick's unique line of convenient Soup Singles. 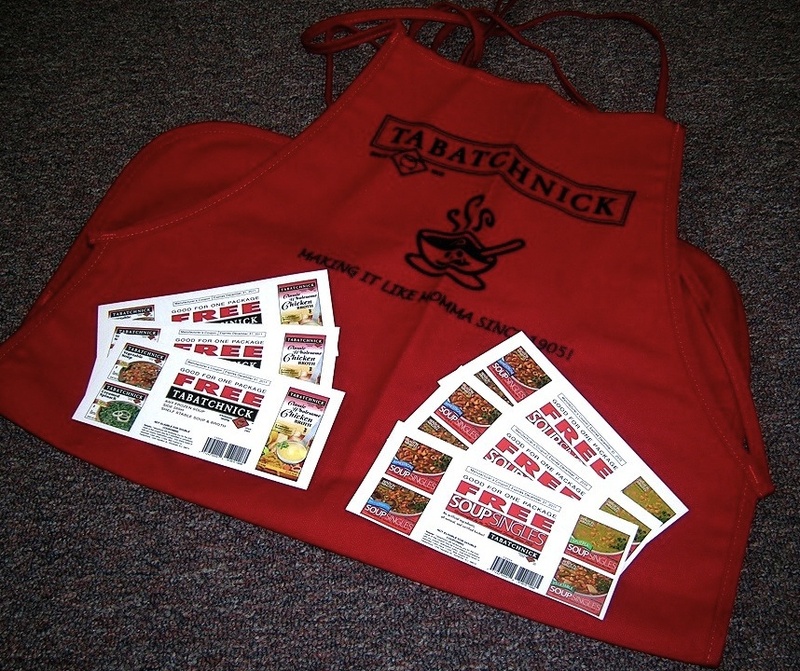 A family-owned company since 1905, all soups made by Tabatchnick are created in small batches using high-quality ingredients and filtered water that are also Kosher and BPA-free. After quickly heating up the soup (I used the stove top method - but the soups can also be microwaved or heated in an oven), my vegetable soup single, made with lima beans, green beans, corn, onions, tomatoes, peas, carrots and barley, was ready in less than 10 minutes and smelled pretty incredible. As an alternative to cooking at home, the soup had a fresh and creamy taste (although there was no cream) with a rich and hearty vegetable broth. This was something completely different from canned and other frozen soups that I have tried in the past, but rather, the Tabatchnick line was enjoyable and provided a perfect portion-size for my lunch. After further inspecting the nutritional information, I was also happy to see that the line wasn't high in sodium and sugar (which many commercial soups are) and contained water and vegetables as the primary ingredients - as opposed to artificial additives, salt, and sugar. Soup Singles also includes Minestrone Soup, Chicken Noodle Soup, Split Pea, Barley and Mushroom, Vegetarian Chili, Southwest Bean, and Tomato and Rice that are available in most grocers. Want to try these soups for yourself? 1. Fan Seriously Soupy on Twitter. 2. Tell me in the comments section what soups from the Tabatchnick-line you would like to try. One winner will receive 3 coupons for Soup Singles by Tabatchnick (in the NY-NJ metro area) or coupons for general Tabatchnick products (winners outside of those areas) and an apron. The winner will be chosen randomly on June 2nd! Good Luck! I followed you and I love having barley soup. I followed on Twitter. I love lentil. I followed you, girl! I love mushroom, barley, beans - everything! I followed. I would like to try mushroom soup!